Every medical treatment that’s available today was discovered through research. 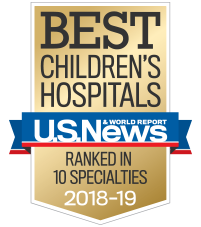 That’s why Children’s is dedicated to seeking new treatments, medical techniques and methods of care to improve the health of children. Today, children's researchers are conducting more than 600 active studies in the community to improve children’s care. Find resources available to researchers at Children’s. Learn about studies currently under way at Children’s.